Beautiful balmy night in the Alice. The Heavitree Gap, or Ntaripe in the Arrernte language, is a water gap in the MacDonnell Ranges of Central Australia. 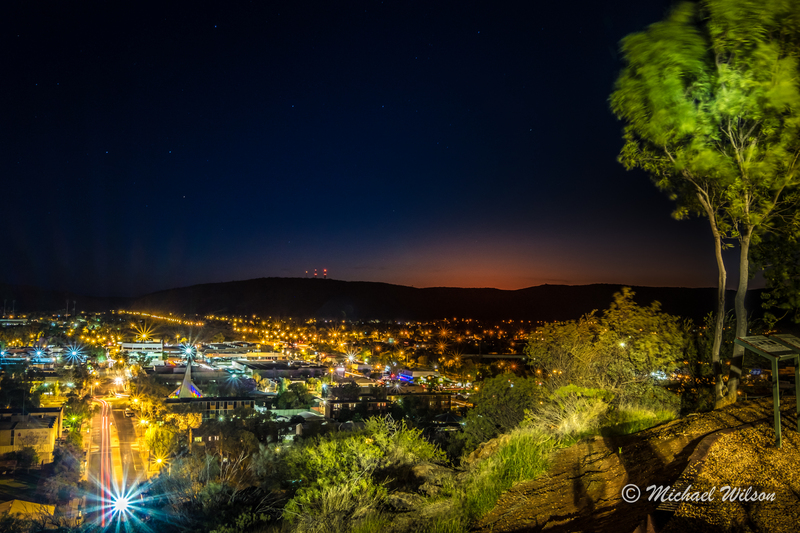 It is the southern entrance to the city of Alice Springs and in addition to the Todd River it carries the main road and rail access to the South.The Gap was named by William Mills, the Overland Telegraph line surveyor who discovered the location for Alice Springs. It was named after his former school in Heavitree, Devon. This entry was posted in Photography, Travel and tagged Alice Springs, colour, Life, Light, Lightroom, Northern Territory, Photography, sky, travel. Bookmark the permalink. Thank you for following my site Mike!